Take a look at this gorgeous unit, a rare find in Calgary. Why is this home so unique? This thoughtfully designed unit boasts a massive 1,263 square feet and features three bedrooms, two bathrooms, two balconies (which, by the way, are not included in that square footage number) and plenty of space both inside and out. Welcome to the Elm at Origins at Cranston. 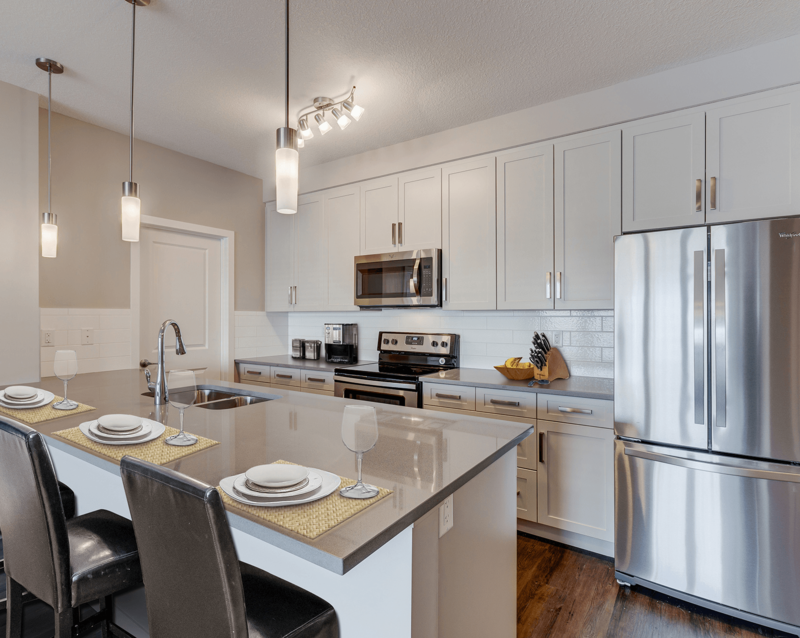 This desirable community is conveniently situated off Deerfoot Trail and Stony Trail, and is easily accessible by Calgary Transit. From the moment you step foot in the door, you’ll be struck by the amount of natural light that cascades over this open space. The kitchen features polished quartz counter tops and a large eat-in island. Stainless steel appliances add to the contemporary look which is completed by modern light fixtures, a Moen faucet and vinyl plank flooring extending throughout. The spacious theme of this unit is also reflected here as the kitchen features a massive walk-in pantry boasting plenty of room for additional storage. Extending beyond the kitchen is the dining area and the large open concept living room, which provides the option of extra space for dinner guests, making this area ideal for family get-togethers and dinners with friends. The living room also provides direct access to one of those two balconies we mentioned. This outdoor space provides yet another area to dine or entertain loved ones during the warmer months. The Elm’s sizable master suite will no doubt be the highlight at both the beginning and end of your day. At over 150 square feet, this room can easily cater to a four-piece bedroom set, king-sized bed included. There's plenty of space for your clothes in your walk-through closet. Owner's will love the private three-piece master ensuite. Here you’ll find additional storage space for linens, 12” X 12” porcelain tile, glimmering quartz counter tops and a Moen faucet. Adding to the exclusivity of the Elm floor plan, the master bedroom also offers its own balcony. Perfect for a quiet cup of coffee in the morning or relaxing glass of wine at the end of a long day, the master balcony is truly a unique addition to this already rare layout. Both of the two secondary bedrooms offer plenty of room with huge closets, and they flank the main living space, which also provides a buffer zone for the master suite. Each bedroom is adjacent to one of the Elm’s airy balconies offering up plenty of natural light and unobstructed views to the outside. Then you have the main bathroom. Much like the kitchen, this three-piece bathroom offers up a contemporary vibe with high-end quartz counter tops, 12” X 12” porcelain tiles and Moen faucet. A few steps outside the bathroom is the in-suite laundry area, complete with front load Whirlpool washer and dryer and a nearby linen closet. The Elm is characterized by its large size and storage-friendly features. Another unique aspect of this rare suite is this theme extends well beyond the floor plan. Included with the unit are two parking stalls and an onsite storage locker - making the Elm the perfect home for young or downsizing couples, roommates or even young families. The unit also offers 9-foot ceilings and a ground-level, north facing orientation that oversees green spaces and a centrally located playground. One more thing - with the year-long free TV and Internet that accompanies this unit, you may never want to leave! 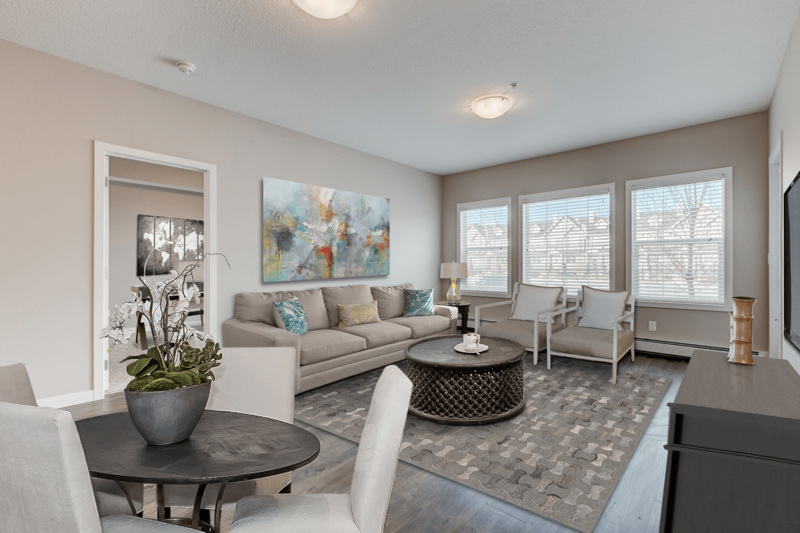 Located at #103, 200 Cranfield Common SE, you’ll find our move-in ready suite nestled away in Calgary’s scenic southeast neighbourhood of Cranston. 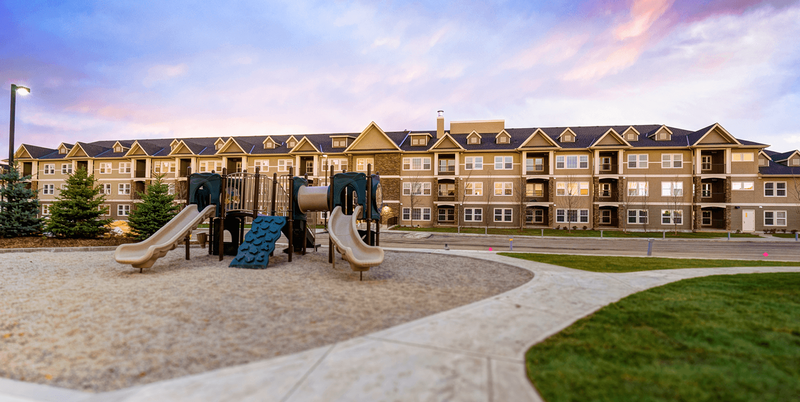 With Fishcreek Provincial Park virtually in your back yard and the Bow River just a stone’s throw away, the community is full of paved trails, green spaces and over 100 kilometres of hiking paths throughout Fishcreek’s natural habitats. When you’re not hitting the trails for a walk, hike or bike ride you can also take advantage of Cranston’s various other amenities which include everything from golf and gastro pubs to schools, services, and shopping. One of the best and final features of this exclusive, low-maintenance suite is that it is move-in ready and available for immediate possession. 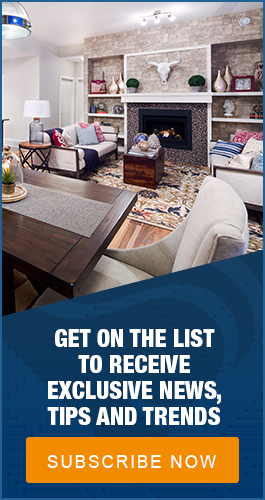 Talk to us today to find out how you can make this exceptional home yours.